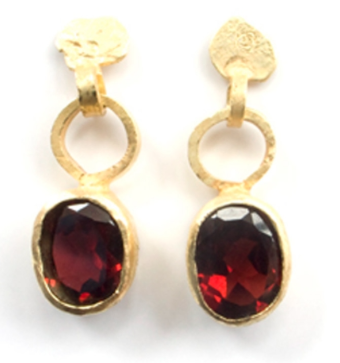 A woman may long, say, for a pair of garnet earrings, but be reduced to trolling mass-market e-shops, and then give up, overwhelmed and underimpressed. So sometimes I'll get an e-mail, asking for help, which I enjoy. Today distills the essence of my advice: you have to look, learn and maybe pay some postage, but the resulting joy of use is worth it. Today I've linked to sites and sources to find outstanding makers of handmade or artisanal jewellery, beyond Etsy and Instagram, also excellent but already well-known. Professional organizations are not just for jewellers; the public has access to photo galleries and contact information. I have listed one each from the US, Canada and UK, but you can also find associations, guilds and groups for regions and other countries. SNAG's site contains a huge directory that displays North American (and some international) artists; see "Maker Profiles". Go to the Member Profile Section; click on the jeweller's Gallery. 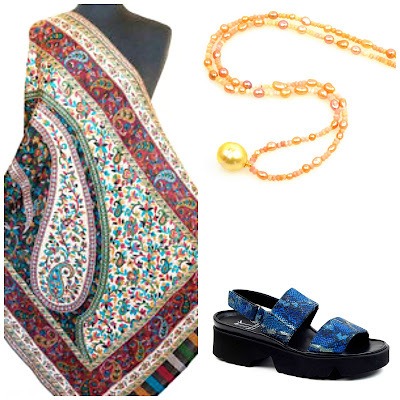 If you like the style, click through to the web site. A portal for artisans and the public to connect; similar to SNAG site, but dedicated to Canadian makers. This British site's directory lists over three hundred British goldsmiths and silversmiths, and is a selective organization, so they artists do not simply pay a fee to have their work featured. These sites represent a number of jewellers, and some incorporate an e-store; for others, contact the gallery to inquire about prices or order. Again, just a sample; for galleries in your area, search "jewellery gallery" plus your area. Though the website may look like a gallery's, collectives often provide more services, such as jewellery rental, and repairs. Made You Look, a Toronto jeweller's cooperative, is an example of a collective that offers these comprehensive services. I'm entirely happy with two repairs they did for me. Made You Look's e-store carries a wide range of pieces, from modestly-priced to serious splurges, and the jewellers can be contacted for custom work. 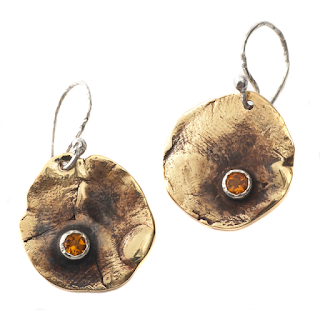 Shown: Bronze, sterling silver and citrine coin earrings by Melanie Leblanc; price, $CDN 105. Large craft shows' directories list their contributors, and many show photos. You can also check dates for upcoming events, because there really is nothing like seeing work in person. 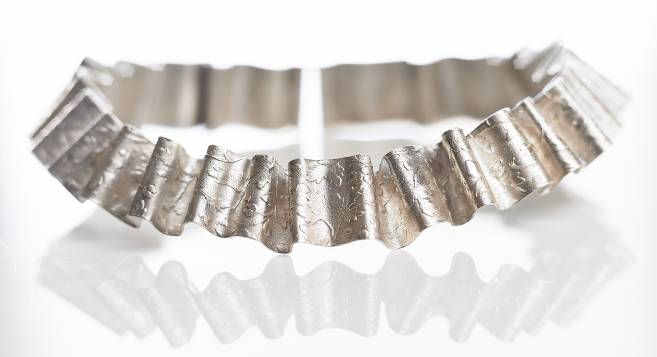 Shown, silver Ripple Necklace (price, $CDN 695) by Anat Basanta, who exhibits at the One of a Kind show in Toronto, and has an e-shop on her site. I've bought her pieces as gifts for two friends, who loved them. Ask the woman wearing a piece you love; she will almost always tell you who made it (unless you look like a cat burglar) and you'll have a warm conversation as a dividend! Here in the Passage, I feature work made by jewellers whom I admire, some of which I've learned about from you. I do not accept commissions or write sponsored posts. The downside of that is you get my opinions and taste, which you know by now: pearls, noble metals, and a crush on vintage and antique. Once you immerse yourself in new worlds of design, your eye will change, and that may affect your choices. If you like those minimalist 10mm bar studs, you will not have a hard time finding them. 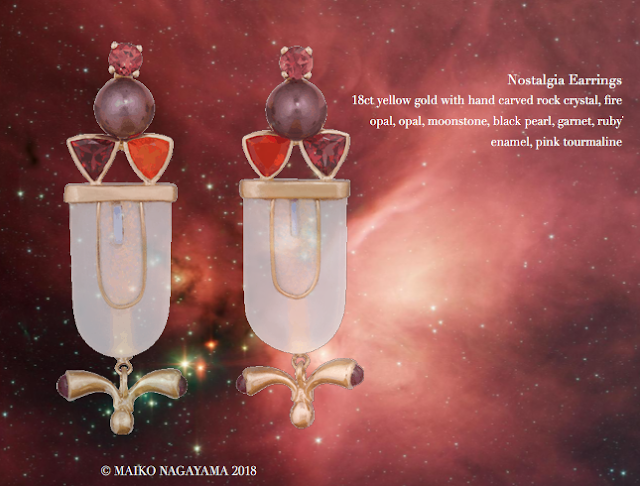 But if you discover a jeweller like Maiko Nagayama, you cross the threshold to high art. 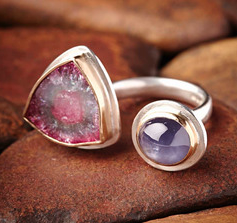 It's a dull trek back to generic simplicity once you encounter her rock crystal, opal, fire opal, moonstone, pearl, garnet, ruby, enamel and pink tourmaline Nostalgia Earrings. Oh, baby! Even if you would not see these in your life (I would buy them and then figure out the life), spend at least least 20% of your browsing time looking at wild, thrilling work; it will hone your eye for extraordinary design at any price point. WOW! Terrific information. I am definitely bookmarking this post! Thank you so much. So much beauty, and so MANY talented people - it restores one's faith in the skills of the world! Thanks for the effort to collect this information and to share it with us. A great reference point, thank you for gathering and sharing this information. 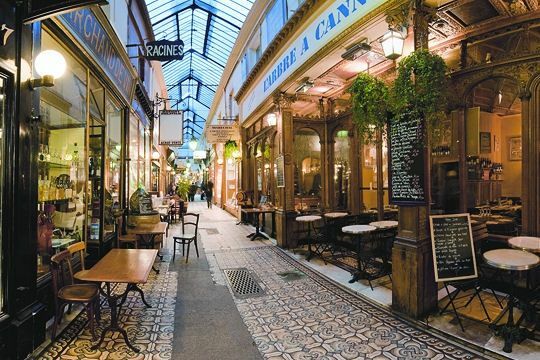 Your knowledge and willingness to share it are formidable et généreuse! While I love the creative pieces and ideas you show, I have a more basic need: I want to replace a badly deteriorated pearl in a very a sentimental ring (a single pearl set in a lovely, streamlined gold ring; four “prongs,” which are part of the ring itself, hold the pearl). 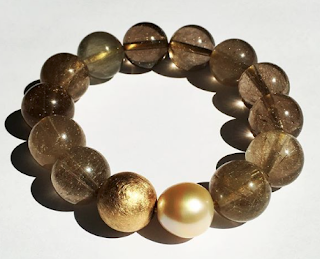 Do you recommend buying a pearl online, and then bringing it to a local jeweler (yet to be found) to do the work? I live in the Boston area. Merci! Margie, Janice, Laura: There is so much beauty amongst these sources; you need not buy anything but, just like looking at art, it will inform every aesthetic choice. Profitez-en! Laura Jantek: I love your fantasy styling! But also with a simple tee and jeans, because... why not? Mercerie: A big question behind a simple one. You will be so happy when that ring is wearable. So, it depends on whether you have a Boston jeweller whom you know, and who is wiling to source your pearl. I looked at listings for the Boston Jeweller's Exchange and nothing grabbed me; I'd cast the net wider. You can pick your own pearl! 2. E-mail vendors for photos and prices of possible pearls. You may already know the variety (e.g, Tahitian, Chinese freshwater, or other; if not, let them know you are open to various options). Specify that you want it undrilled. - Don't just look on their sites, they have literally thousands of other pearls not on them. - They will send you several if you want to compare. Both of them will just have come back from the huge gem show in Tucson (Carolyn in fact is based in Tucson) so they may be pretty wiped out for a week or so, but I have had excellent response from both for such projects. Some local jewellers may have loose pearls on hand; Boston is a big city. But, even in large cities, jewellers are careful about inventory and tend to carry the tried and true, so if you want anything other than a round white, they are less likely to have it. The bald truth is, some jewellers do not seem very knowledgable or interested in pearls, a pearl is a pearl to them except maybe for body colour, and I have found that attitude (it's white, it's round, it has no flaws, so therefore she 'should be happy') results in a very "okay" result. But Sara and Carolyn really 'get it'. Buy a gorgeous pearl- you're only buying one. Depending on variety this will cost $50-$200. (Some of the most striking pearls are those Chinese freshwaters with metallic overtones, and they are super reasonable.) Both of these pearl vendors make fine jewellery so you can talk to them about setting, or you can bring the pearl and ring to someone whose work you know in Boston. I hope this is useful. If you want me to take a look at options, e-mail me with what you are considering. And we wanna see that ring when it's ready, please please please! Duchesse, thank you for your detailed reply! I will investigate the two sources you recommend and let you know how things progress. I will be thrilled to restore the beauty of this ring. Thanks so much.